As its name suggests in Martu Wangka, Mira literally ‘brings the hidden into the light’ by creating public access to a remarkable collection of oral histories, images, videos and cultural content. Released as an evolving archive, Mira currently contains around 10,000 items. By its completion in December, Mira will contain over 10,000 videos, more than 300 oral histories, 20,000 images as well as a huge range of cultural research, historical data and curated digital heritage items. The inherent richness of the archive will allow users to explore, either casually or at great depth, the extraordinary social and cultural history of the Canning Stock Route, and of the desert Country it intersects. 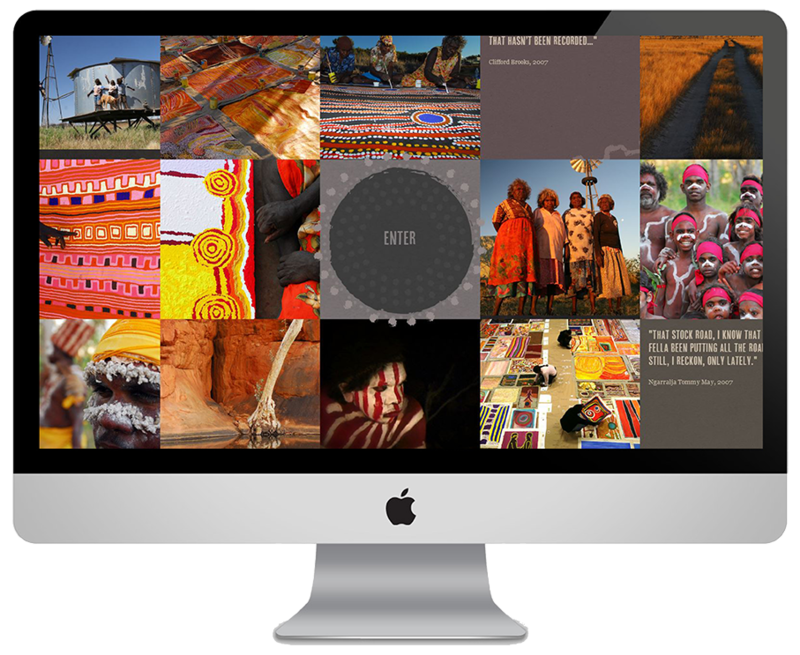 It represents a vital resource for anyone interested in art, Australian and Indigenous history, culture and digital storytelling. Mira has been developed as a groundbreaking collaboration between FORM and the Center for Digital Archaeology at UC Berkeley, leveraging the Mukurtu CMS community archive platform. 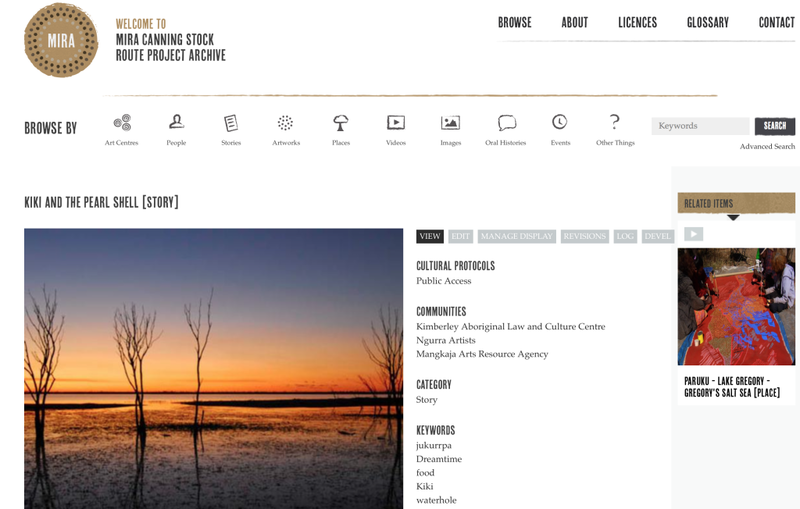 MIRA represents one of the biggest and most accessible digital archiving project of Indigenous cultural content in the world. Built to the highest digital archiving standards, Mira’s archival quality content will be hosted on the Western Australian supercomputer system iVEC and available for access and use by the general public in accordance with licenses developed in consultation with communities. Approved commercial projects using material from the archive will return 90% of all profits to participating art centers across Australia’s Western Desert. CSR has won awards for its traveling exhibition “Yiwarra Kuju”, and has just released the beautifully designed “One Road” iPad App, a virtual journey on the Canning Stock Route. MIRA was designed as a web-interfaced archive to bring the combined efforts of Australian artists and curators back into the hands and the homes of the people of the Canning Stock Route; the people who brought forth the stories, artworks, and oral histories upon which this project was built. The goal: that these stories and artworks are not lost to time, space, or political boundaries, but can be shared and preserved for future generations. Many have travelled the Canning Stock Route. MIRA steps off the route and reveals the multi-dimensional history of the Route and Bush, brought together in a sustainable digital landscape.